One of my fondest childhood memories is listening to read-along books -- those books that came with the little 45-rpm record or cassette tape where you would follow along with the book and a tinkling sound would indicate it was time to turn the page. While I’m (much) older now, I still enjoy having someone read to me and love listening to and encouraging others to listen to audiobooks. Have you tried promoting audiobooks to all of your patrons? The benefits of audiobooks for young people and students are many. Reassure reluctant parents that audiobooks aren’t cheating! Listening to audiobooks promotes literacy by increasing fluency, accuracy, and comprehension of text. While we obviously need our young ones to read print, audiobooks can be particularly helpful for auditory learners and reluctant readers. If a child comes to you dreading that required reading and wondering how they can get through it, pairing the print with audio can make the experience more interesting and will even increase his or her recall. On several occasions, I have done this with my own daughter and she appreciated the books more than she would have without the audio. NoveList uses appeal terms for both books and audiobooks to get at those characteristics and qualities that go beyond subject and genre. Here are some tips for how to use NoveList Plus to find the perfect audiobook for your young readers. 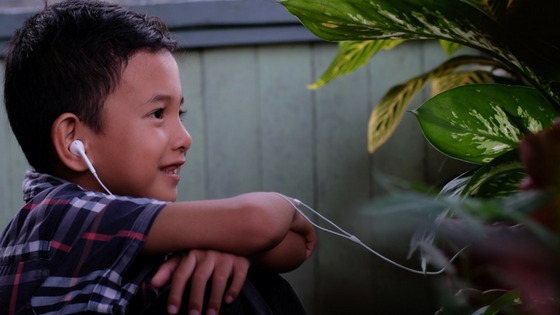 Your patrons may prefer or require one format over another; kids and teens may prefer audiobooks they can download directly to their mobile devices. To find a specific format for a title, try searching TI title AND FO physical format. Please note that specific terminology is required to search successfully for a specific format. There are no special audiobook genres -- just use the same genres you would use for the print format. To find a specific format in a specific genre for a specific audience level, try the following search: GN genre AND RL reading level AND FO audiobook format. Does your title have available audiobooks in any format? To find any audiobooks for a specific title, simply search for the title. If your title search comes back with multiple hits, you will see a tab for audiobooks if any are available. If you don’t see an audiobooks tab, it means an audiobook is not yet available for the title. Overwhelmed? Here’s where to start! You have patrons who want to try an audiobook and they want a good one. Where do you begin? If you are just looking for award-winning audiobooks for a specific format and audience level, try searching AW Y AND FO format AND RL audience level. If your patron insists on listening to a sample before committing to a title, you can search for books in which an audio sample is available: AA Y AND FO format AND RL audience level. On the title page, you can find the link to the audio sample below the book jacket image. For reviewed audiobooks, search for AZ Y AND FO format AND RL audience level. All the patron tells you is that she wants a good audiobook! Search NB Y AND FO format AND RL audience level. Or, try some of the tips from our search strategy on finding audiobooks for every listener. 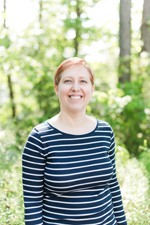 Suzanne Temple is a Metadata Librarian II at NoveList.